QUESTION: WHAT Oil Can came with my American made 221 FEATHERWEIGHT ? ANSWER: SINGER built many, many different Oil Cans for their machines. But when it comes to the American 221 the number narrows down to just a few. MY 1933 machine, AD541757, when I bought it many years ago was 100% Complete and it had a full 3 FL.Oz can with a PRICE 20 Cents marked at the bottom. and on the side it was marked for Sewing machines and Singer Vacuum Cleaners. SOMETIMES around the 1934 era Singer reduced the size of their oil cans down to 1 1/3 Oz and had a PRICE 10 Cents on them. The side of the can was still marked for Singer sewing machines and Vacuum cleaners.. IF You have a 221 from 1934 to 1948ish...OR Have a CASE with TOP TRAY, this would be the original oil can for your machine.. IN the late 1949 early 1950 era Singer again redesigned their oil can. 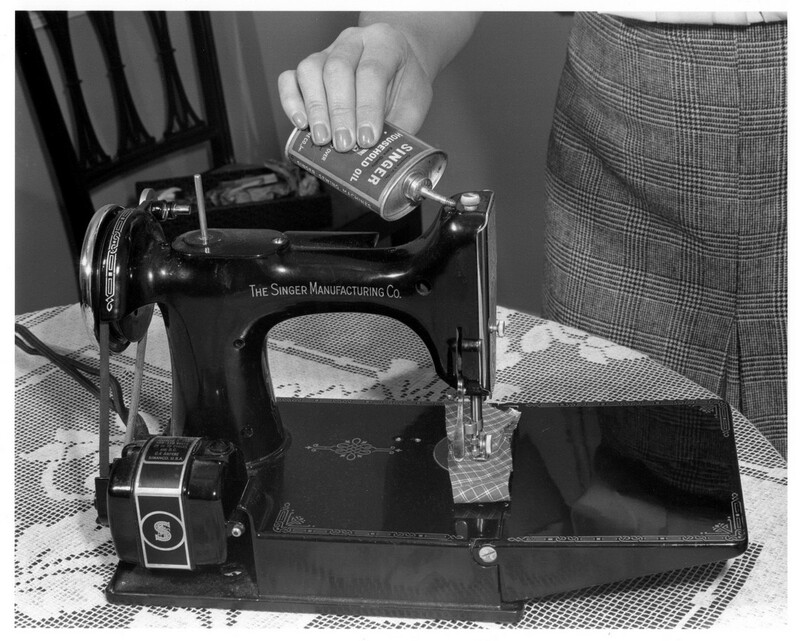 This time the 10 cent price was removed, and the writing on the side was changed for household sewing machines. IF you have a 1950 era or later TYPE 5 of TYPE 6 CASE this would be the original oil can for your machine..